Today you’re hearing from Kizette Ortiz-Vanger, visitor services specialist at Eastern Massachusetts National Wildlife Refuge Complex. Be sure to check out the embedded video, where Jared Green explains the Blanding’s turtle headstart program! New members have joined our family at Assabet River National Wildlife Refuge. Recently, thanks to our many biologists, we have brought a small creature with a BIG purpose to our refuge. We want to see this population of imperiled species prosper in ways unimaginable, so we take pride on putting our spotlight on the Blanding’s turtle (Emydoidia blandingii), now that it is here at our refuge. The Blanding’s turtle is a semi-aquatic freshwater species that is listed as a Species of Greatest Conservation Need in all five Northeast states where it occurs, which happens to be mostly on wildlife refuges. The adult Blanding’s turtle is about 7 to 9 inches in length and has a high domed dark shell. Moreover, they can be distinguished by their bright yellow chin and throat. The Blanding’s Turtle Project, led by biologist and researcher Jared Green, covers Assabet and other refuges within the Eastern Massachusetts National Wildlife Refuge Complex, such as Great Meadows. Jared, along with other researchers and biologists, monitors the female Blanding’s turtles as they lay their eggs, and once all are laid, he then puts enclosures around the nest to prevent predation by raccoons or other animals. A couple months later, the eggs have hatched. Half are immediately released from the enclosures into the wetlands there and the other half are brought to Assabet River refuge, where they are kept at the site, fed on a regular basis, and then released on the refuge. By feeding and caring for the turtle, it grows 2-4 times bigger and more likely to survive predation. 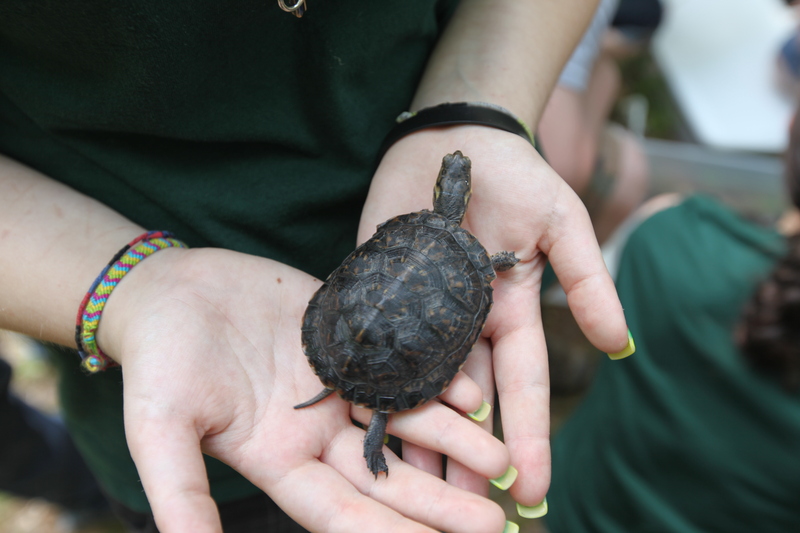 Many school groups in the surrounding communities learn about and raise Blanding’s turtles. They release them with better chances of survival at the Concord Impoundments on Great Meadows refuge and at Assabet. The Friends Group of the refuges raises funds to investigate how people can further support the return of Blanding’s turtles to a more stable population. Although these turtles take little of our time, the more we help, the bigger part they play in our lives. I invite you to visit Assabet River National Wildlife Refuge, where we bring each visitor the joy of spending time in a world apart from our own backyards, and where every day, we take the time to observe and monitor our wildlife friends to ensure that they are safe and feel right at home. 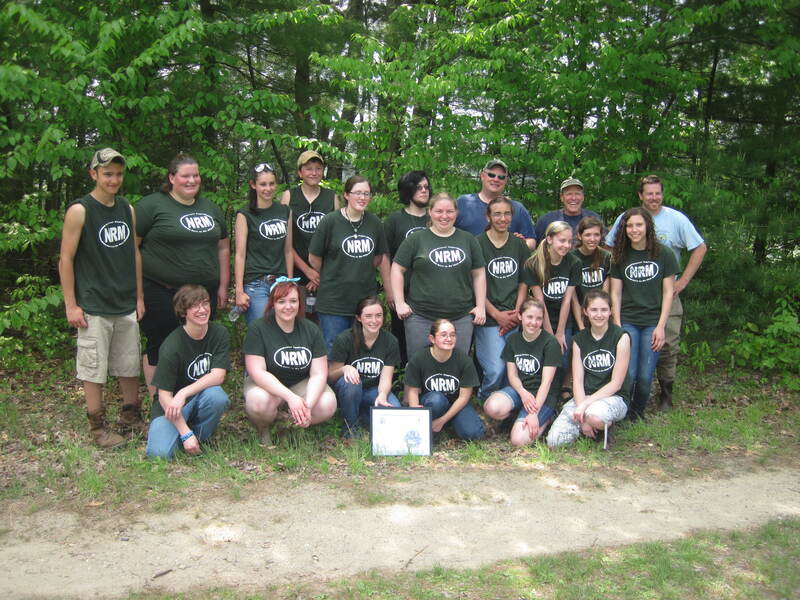 This entry was posted in Blog entries, National wildlife refuges, Partnerships, Science and research, Youth and tagged assabet river, assabet river national wildlife refuge, blanding's, Blanding's turtle, bristol aggie, conservation, eastern massachusetts national wildlife refuge, headstart, wildlife on July 16, 2013 by usfwsnortheastblog.